The Wildfowl Trust of North America Inc. was founded in 1979 with the intent to protect wetlands for waterfowl while maintaining captive waterfowl collections for educational purposes. In 1981 the Trust purchased a 315-acre farm tract in Grasonville, Maryland on which it initially established Horsehead Wetlands Center and opened to the public in 1985. In 1998 the trust purchased an additional 195 acres and placed the now 510-acre preserve under conservation easement. In 2002 the Trust revamped its mission to address the issues of declining water quality, urban sprawl and habitat loss and set a goal to be recognized as a leader in environmental education and bay restoration. The site was renamed the Chesapeake Bay Environmental Center to reflect the new focus of the mission. 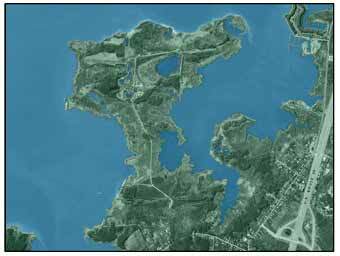 In 2004 the State of Maryland recognized there was a need to find more effective and efficient restoration methods in order to meet the 2010 Chesapeake Bay Agreement and beyond. CBEC was designated as “the”site for testing and developing comprehensive restoration techniques resulting in bay-wide implications. As a result, partnerships with private businesses, universities, state and federal governmental agencies have afforded CBEC the opportunity to expand research and restoration capabilities while encouraging stewardship through volunteerism. In 2008 CBEC opened a new LEED certified arts and education facility to meet the growing needs of its educational programs. The new facility itself is a teaching tool on sustainable building practices, serves as a model for green living on Eastern Shore, is a resource center for developers engaging in smart growth and a portal for visitors to admire the local culture through rotating art exhibits.